Today’s guest blogger is Barb S, aka Franciscan Mom. I’m Barb from Franciscanmom.com and Cook and Count. 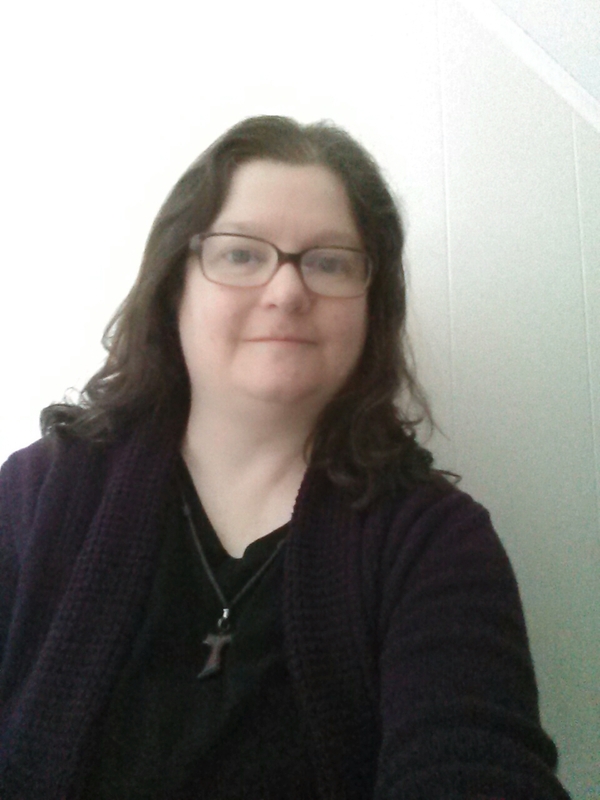 I’m editorial consultant at Catholicmom.com, a musician at my parish, a Secular Franciscan and a school-library volunteer. 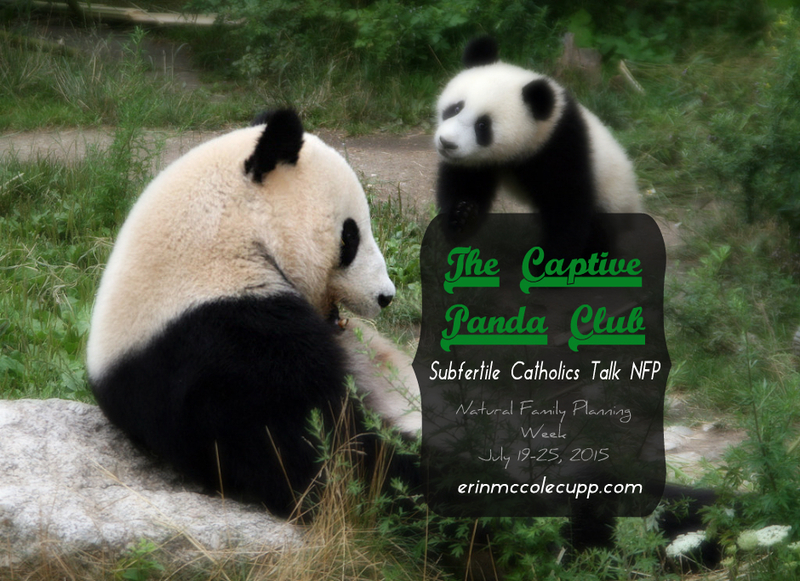 My husband and I took NFP classes through our diocese during our engagement. We’ve been married 24+ years. We learned, used and taught the sympto-thermal method of NFP. We have 3 children, ages 23, 19 and 13. The wide gaps in our children’s ages are part of the reason Erin asked me to share our story. We always wanted several children and did use NFP to space pregnancies—but despite careful charting, our pregnancies were spaced much farther apart than we’d expected they would be. I had some complications following the birth of our oldest child, and I can honestly say that fear of more (and possibly worse) complications made me a little hesitant to sign on for rounds 2 and 3 of pregnancy, but ultimately I got past that and then discovered that it wasn’t as easy to conceive a child the next time around. I guess subfertility is different from infertility because we knew that we had the ability to conceive (and carry a child to term). It’s frustrating. We knew we had been able to conceive once—why couldn’t it happen again? I worried, before we conceived our second child, that those birth complications with our oldest had somehow impaired my fertility. I was also experiencing some uncomfortable menstrual symptoms, which my GYN offered to “treat” with hormones; I refused that treatment (for the first time) in 1994 and subsequently spent more than 15 years trying to convince doctors that something was definitely wrong. It’s actually NFP (and all those years of carefully-recorded information about my own body’s patterns and in-depth knowledge of what was “normal for me”) that came to my rescue in getting the fourth GYN in as many years to finally listen to me and send me to yet another doctor for treatment, which wound up being a DaVinci (robotic) hysterectomy and the discovery during surgery that I had endometriosis. Suddenly everything made sense, and I felt vindicated in my decision to walk away from Doctor #3, who told me that what was happening to me was “normal, even if it is the sucky end of normal” (how’s that for a lovely exam-room manner?) Apparently the endometriosis invasion was extensive; one of my Fallopian tubes was attached to my intestines by scar tissue. For some stupid reason, though, that first surgeon left me both ovaries and one tube, which meant I had a fully-functioning estrogen supply to reboot all that endometriosis. I might not have even noticed a problem—except I was still using NFP. Why would I do that? I wanted to be able to let my daughter know when I’d gone through menopause. I know that’s on all the medical-history questionnaires, and it became important to me to be able to do that for her. I figure she’s genetically predisposed to wind up with endometriosis as well, so the more knowledge, the better. So I kept using the sympto-thermal method, taking my temperature and charting daily, and following my ovulation pattern. Within 4 months of surgery, I began having episodes of spotting that were timed just right to be menstrual periods. My doctor listened, because I had data to present to her. We did a little bit of “wait-and-see” along with regular pelvic ultrasounds (which can find cysts and “fluid collections” but not endometriosis), and over the next year I had one very painful burst ovarian cyst and another very large cyst that was surgically drained. Finally, a little over 2 years after my first surgery, I had my ovaries removed, along with as much remaining endometriosis as a surgeon at a cancer center could find. I didn’t have cancer but I was sent there because of the surgeon’s expertise in removing all of what we didn’t want left behind. That’s the long story of how NFP helped me with my health. I think ultimately, the knowledge I had—of what was and was not normal for me—gave me the courage I needed to see yet more doctors, undergo yet more examinations and ultrasounds and a D&C and 2 endometrial biopsies, and stand up for myself as I refused offer after offer of yet more hormones that would, at best, mask the problem and—since the problem was undiagnosed endometriosis—possibly even make it work. How has NFP made life less-than-easy? Well, the easy way out of my situation would have been to accept hormonal birth control, and just put off dealing with the problem until later. I’d have saved myself a lot of physical pain and a lot of money spent on Advil (I was taking 4 every 6 hours, setting alarms in the middle of the night so I wouldn’t go a minute longer than that without replenishing the Advil supply). NFP was less than easy when we were able to achieve pregnancy; people (yes, Catholic people and yes, family members) just assumed that we were “done” after the first child and definitely after the second, especially given that extra-large age gap there. So we got a lot of rude and unwelcome comments about NFP “not working” when we finally were able to announce that welcomed, wanted, and (in our minds) overdue pregnancy. If people only knew! Although we’re faithfully Catholic and strong proponents of NFP, we’ve never run into the “you’re sinning if you don’t have a huge family” crowd. Our challenge was the opposite. We always felt alone in using NFP. No one we knew practiced it. No one in our families or circle of friends supported us in it. We only had each other for support. So our challenge as a subfertile Catholic couple was less of an issue as our challenge as an NFP-using Catholic couple. We lived with the hurts of countless snide and snarky remarks about how NFP “doesn’t work” on top of our own private burdens of subfertility. I’ve had people ask me if all 3 of my children (all of whom share the same last name, all of whom look alike, none of whom look like me) are from the same marriage. I guess no matter what your level of fertility is, people will find a way to say inappropriate and rude things (in front of your kids). I hope that sharing our story will help someone else feel not so alone. I encourage you: if you have data about what’s normal for you, and something is happening that is not normal for you, see a doctor. If all you get are pat, easy answers about hormones, find another doctor. Don’t waste all the time I did. Don’t feel all the pain I had. Find a doctor who will listen and who will respect your knowledge and your data. Thank you so much for sharing your story with us, Barb. Reader, do you have an experience with subfertility to share? Do you feel like you’re the only Captive Panda out there? Did you go from infertile to subfertile, experience secondary infertility, or experience a different path all together? What’s the hardest part of being a Captive Panda Club member? What keeps you going in faith? How has God sustained you through it all? What have been some unexpected blessings you’ve found as a result of trusting in Church teaching on fertility? Talk to us in the comments below! Thank you for sharing your story, Barb. And thank you, Erin, for doing this series. I really enjoyed reading all the posts. I’m so glad. Thank you for the support!